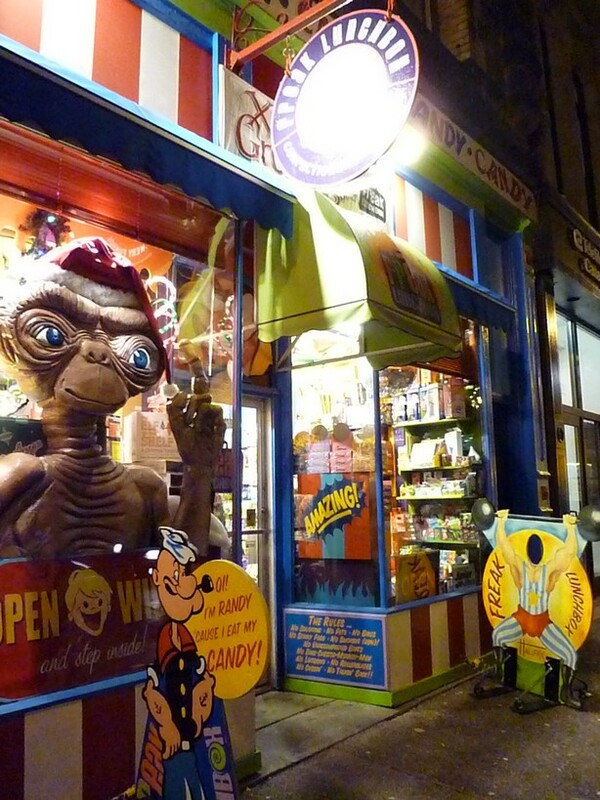 Freak Lunchbox, in downtown Halifax on Barrington Street, has won The Coast's Best Of Halifax Best Retail Sign award for the least two years, and one look at even this low quality photo of the store front (above) will tell you why. However, Freak Lunchbox is so much more than just a great exterior. It is also covered on the inside with great original artwork by the owner, which makes the roof and walls of the store look like a Ripley's Believe It Or Not Cover. 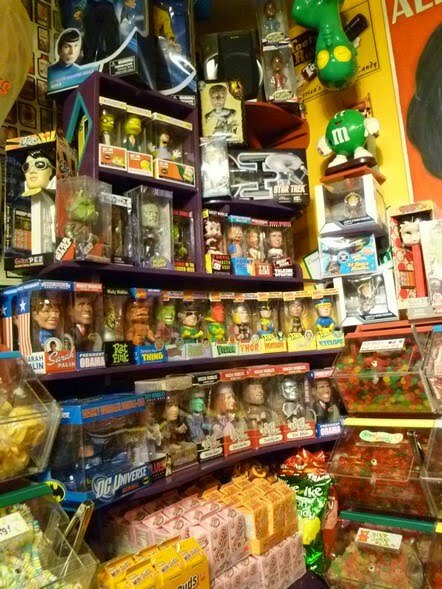 I wasn't allowed to take a picture of them though, so I thought this shelf full of candy and bobble head dolls would be a good substitute. 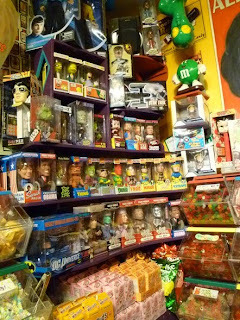 Moreover, Freak Lunchbox makes its money by selling candy, toys, etc., which is the reason I went there in the first place. 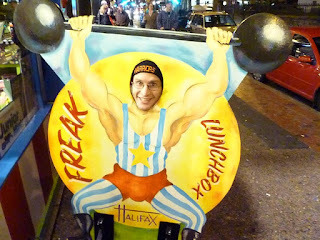 I first discovered Freak Lunchbox while exploring the streets of downtown Halifax during my original cross-country voyage back in May. At that time (my inner Korean is coming out now), I was overjoyed to discover that my favourite candy, Lotsa Fizz, while absent from many convenience store racks across the country, was still on sale at FL. When I came back again during the Christmas Tree Lighting just last week I discovered a reinvention of a Canadian classic - The Pop Shoppe bottled beverages. And that's the best part about Freak Lunchbox. There are just so many items to peruse that it's almost impossible to see everything the first time. Long story short, you'll have to go back again and again and again to find out what you missed the last time. Freak Lunchbox: great business model, or greatest business model ever?